Home Mainstream How to Fix GTA IV Crashes and Freezings on PC? How to Fix GTA IV Crashes and Freezings on PC? 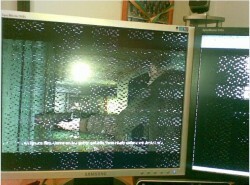 One of the most anticipated PC games of the year, Grand Theft Auto IV did not have a great start: except from the fact that those who opted for digital distribution had no pre-loading options, it appears that those who managed to install the game are constantly suffering from GTA IV crashes, freezings and other performance related issues. Is there a way to fix these problems? For the moment, Rockstar remain silent – it’s probably still early and they have to analyze the tons of reports regarding poor performance and lock-ups. However, one thing is clear: there are many people having problems and we only have one possible suggestion right now for trying to fix the game: try defragging your hard disk drive after installing GTA IV. It might be a long shot, but it’s worth trying, since a heavily defragged game (and with a 15GB install, Rockstar’s title can do that) can lead to crashes, freezings and other problems. It’s worth noting that on the official GTA IV forums, at the moment of writing, from the 74 people who took the time to answer a poll asking “how well does the game run?” an incredible 41 people answered that it “runs horribly”, 17 admitted that the game does not run at all and just 16 say that the game runs fine. Is both frightening and unbelievable. But it also appears to be genuine – user AussieDave27 has posted some images to prove the GTA IV lock-ups. We’ll update the story if Rockstar comes with an answer or an official solution to the problem. If you have found your own fix for the PC version of Grand Theft Auto IV, please share it with the world! Update: The crashes might also be problem related to the graphic cards. Website PCGH reports that “neither a HD 4870 with 1,024 MiByte nor a HD 4850 is running. GTA 4 is also denying to run with an HD 3870 or HD 3850.” So now we’ll keep our eyes open and see if AMD brings in any driver updates. Stay tooned! 2nd day Update: Rockstar has released a document summing up the bugs that appear in the game and possible suggestions (where applicable) to solve the problems. You can download the document here. Also, the company hinted that a patch might be on the way. This is happening to me. The graphic settings cannot be changed whatsoever, so I have about 1 1/2 car’s distance view ahead of me, and textures so poor that the look like smeared excrement across my screen. My pc is by no means a slouch, playing games like Gears, Farcry2, and Fallout 3 with little to no problems. I’m going to try the defrag, but I guess I’ll be stuck waiting for Rockstar to fix this broken game. I’m very disappointed, seeing as the only game I bought (didn’t pirate) was the one I shouldn’t have. Shoulda saved my $ for Prince of Persia. I am getting the same Fatal Error EM10. This game needs a patch and bad! ONCE AGAIN… a company throws a copy out for profit and the quality is garbage! YOU WONDER WHY PEOPLE PIRATE GAMES! I’m getting the same problem. Except it doesnt crash my computer. Its just not playing anymore after I shuted down my computer yesterday. the same but when i click start and go to loading screen fine, but after it loads it goes blank and say’s on my window 7 domain computer this ” GTA 4.exe stopped running.” i click more info here say’s ” GTA 4.exe Crashed” Oh i got it from Thailand and it seams to be a torrent!!! :-( but still i had Kane And Lynch Dead Men same country and it is torrent but that works. Sometimes i can play for an hour or two and sometimes 2 minutes if im lucky but it always crashes back to the desktop but i never get an error message. And for those who cant adjust the graphic settings, try clicking on the setting then using the mouse wheel to adjust the setting, that worked for me. Also i have the original disc but Securom doesnt belive it so it takes a few attempts to get the game going. Im trying the defragment now and ill let you kno if it helped any. Thanks for sharing, boodge! I’m glad the solution fixed your problem! At the moment I’m defragging my C:\ drive using the defragment tool XP comes with. I really wish it makes it work, because I’ve looked forward to this game for the past 2 years, and now that I’ve finally got my hands on it its very disappointing to see this happening. yea it works for me atleast i didnt think so either but i was desperate enough to give it a shot. i havent had a problem yet since i did it. But now ive run into a problem, im at about 58% done with the game, and when im trying to load it back up it just crashes on me. Does anyone kno how to load previous save from the main menu? boodge, I found the only savegame you can load from the main menu is the most recent, when you click Start. Any other save needs to be loaded from the ESC menu after you’re already in-game, from the Game tab. Another method may be to delete/move/rename your most recent save, the one causing the crashes. Then when the game automatically loads the save, it will load the second most recent. The folder where the GTAIV saves are located is \Documents and Settings\\Local Settings\Application Data\Rockstar Games\GTA IV\savegames\ . Then you can open the save files in any hex editor and determine which needs to be removed. PS: I’ve also experienced random crashes to the desktop with no error message, even with all graphic settings at their lowest. Sometimes, when restarting my PC after a GTAIV crash, it will drop a black screen then BSOD right after it’s done saving the settings. The screen states that the rdbss.sys driver unloaded without cancelling pending operations. I’ve never gotten a BSOD while playing the game, only a graphical glitch for a split second then back to the desktop. I hope that defragging solves the problem. I haven’t tested the game yet since I defragged, I first wanted to see if any other people have tried it; to see how their results were. Aaqibi, thanks for sharing your findings with us, I’m sure many people will find them extremely helpful! Looks like Georges right im aslo a GTA Fan for 3 years im still Looking For Your actions for fixing our Problems regarding our Latest Title. his Dream Come True,Once and for all! I am experiencing crashes within 5-10 mins of play… I’m sure it’s not my GPU or CPU because I can play other games without crashing. Rockstar, please fix this problem ASAP!!!!! When on the bottom right screen says starting a new game it freezes and i cant fix it any1 know how to fix it?? RMN20 – Windows Vista: Need to have Service Pack 1 or higher to proceed. RMN30 – Windows XP 64 / Server 2003: Need to have Service Pack 2 or higher to proceed. RMN40 – Windows XP: Need to have Service Pack 3 or higher to proceed. DWIN20 – D3D Error – Failed to query memory. Please re-start the game. DD3D80 – D3D reset failed – Please restart the game. TEXP60 – Unable to create color render target – Please re-install DirectX and/or install the latest video card driver. TEXP70 – Unable to create depth render target – Please re-install DirectX and/or install the latest video card driver. woot for me its not the temperature because my videocard (8600gt with large heatsink) only reaches up to 64 degree celcius (evening around 3pm). well what i experienced is when i finished the game the game does not crash allready. also anotehr experience was when i end the explorer.exe it prolongs the playing time hehe. I have ended the gta IV twice and I had to reinstall my windows, after doing it em unable to copy my savegames, it says unable to load check your hard disk ………. please can anyone help me ? I am not willing to play it the third time, it burns me out !!! please tell me if there’s a way to it !! maybe your installing in another platform>? (like from xp to vista) if thats the case i think that the directory will be changed hehe. 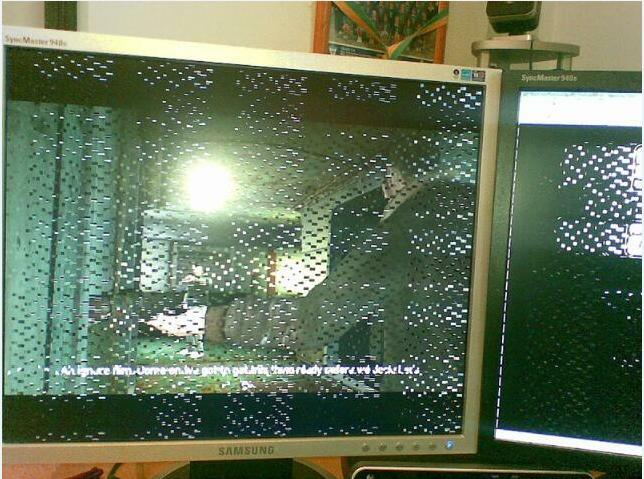 i get a problem like this, i can load the menu, change the graphics etc. but when i load, just as i am about to go into the game it stops and goes to the desktop, doesnt even say i crashes or anything! really annoying, i recently updated my graphics cards drivers to the newest ones then it started to hepen, i will try defregging my hard drive (2tbs) and if it still downt work im going to have to roll back the drives. how did u end the game twice…. cud u giime any additional files u might have added.. This piece of hardware looks mean, thanks for the review. GTA Iv is awesome. The singleplayer is a bit boring, but multiplayer is amazing. can’t wait for GTA 5! today i played GTA IV while my laptop was running on battery in “power saver” mode,i was surprise that i played for longtime without the balck screen appears!!! is there any explination for that. and what is the way to play on power without getting the black screen? I installed gta 4 into my pc but when I’m playing that whole game becomes to shake like it drinks.I restarted my pc but it didn’t work.i only have that quetion.So guys please help me ! Sounds like someone has got a cracked version :O Shame on you! Well my game works just fine! Everythings fine, I played for more than 3 hours and then I saved the game (the bed in his apartment) and then the next day I wanna play again and there are no load games….what did I do wrong? HI EVERYONE, I’ve installed GTA IV on my laptop, but one file C:/ProgramData\Grand Theft Auto IV\pc\data\movies\CNT.bik IS CORRUPT! and it is the main loading screen so i really need it or it will never work! PLEASE CAN SOMEONE SEND ME A COPY OF THIS FILE? IM SO DESPERATE AND WILL BE SO GRATEFUL! Hey every one i have gta 4 on my laptop and once i start playing after few minutes it goes to my desktop and say gta has stop working? can any one help me? Kinda a gravedig but I’m suffereing from crashes. I’ll start the game up from the rockstar social crap. Intro music, then it gets to the R logo, GTAIV logo, black screen and crash. One thing that is strange is that the Error info only shows 2gb of system ram instead of 8. LOL :)so stupid of me i didnt checked da DATE!!!!!!! hey buddy i have no antivirus installd but its always crash after 10 20 minutes and i installd 1.3 patch and game cant open like before. My mind is stuck to install the game 7 times and 1 time taking 2 hours you know well. patch to 1.0.7.0..it will give u more settings ..and then put ur alll gta 4 settings to low..if it works then reply me…!!! none of these codes come on my screen. i open socialclub and skip login and play the game runs but after i hit start and the cinematic cut comes where they show people after that its says gtav has stopped working and my game doesnt load… before 6months it was ok but after i re boot my computer it doesnt work… can any 1 help me please???????? m having win 7 32 bit.. I Have A Fix gyzz only u have to do that right click on ur desktop then go to settings and set screen resolution to 800×600 pixels and then go to apperance and set ur theme to classic windows then apply your changes…and then start gta 4 this all things will increase ur resource usage ..and then set ur all gta 4 settings to low and u will se in graphics option resource usage the right one will increase that is ur graphic card ram..! !..start ur game and enjoy the most important thing is USAGE..and definitely this will work it is my promise with u all ..!!! thanks u all try it..
And My Computer Specs are– i5 processor2.8 GHz. motherboard–i.e P55 board.with 8gb DDR3 ECC PC8500 memory Windows XP Service Pack 3 with GTX 590 Graphic card and Cooling Fan..! !in my comp gta 4 runs good in medium settings.! NVIDIA GTX 590 1.5 GB GRAPHIC CARD ..I HAVE.